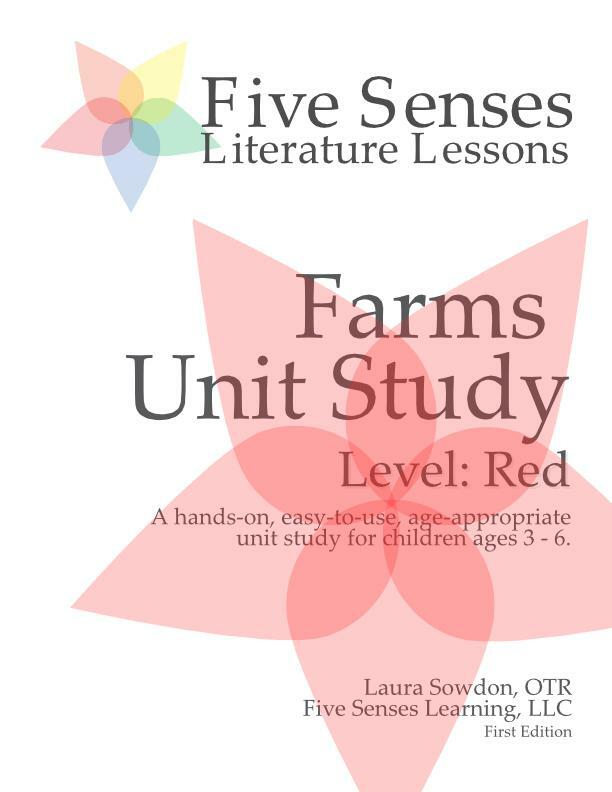 The Farms Unit Study from Five Senses Literature Lessons is an engaging unit study for children who enjoy picture books and are ready for some adult-directed learning with lots of hands-on fun. 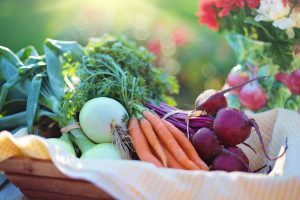 Every lesson has a book list, memory verse, and hands-on activities that will help your child gain life skills while having fun learning about animals and farms. This is a short unit study designed to take about a month with children ages 3 to 6 years old. Because these lessons are designed by an occupational therapist, they also include a range of physical activities to develop your child’s fine and gross motor skills. At Five Senses Literature Lessons, we are committed to educating the whole child and engaging the body along with engaging the mind. This is a full-color, downloadable PDF document with links to videos and external resources, book and supply lists and corresponding activities for a full month of learning. I love the curriculum! It’s hard choosing something for younger children. Of course, we want to enrich their minds, but how much is too much or not enough? The idea of engaging the 5 senses to school is such a simple and natural idea. The planning work for the parent is minimal but has room for those who prefer to add extra. My daughter (almost 5) begs to do school with this curriculum. The stories and activities are all very thorough and will give any child a fun education. We at Five Senses Literature Lessons know that children are innately curious about the world around them and do not think about what they are learning in terms of subject area. Children don’t see the world in terms of math or reading or science. 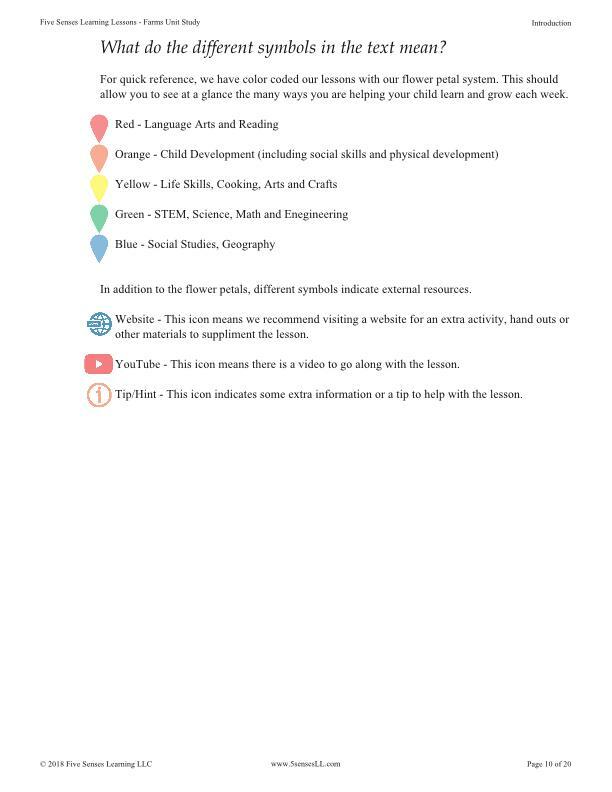 A simple game can touch on topics in each of those subject areas and more. In addition to the traditional school subjects of reading, writing, math, science and social studies, there are important things to learn about the world through art, music, food, dance, and play. 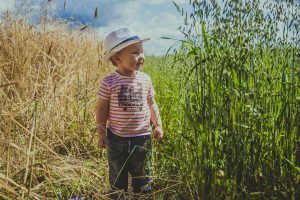 The Farms Unit Study seeks to help you introduce to your child a range of experiences through exploring animals and plants. 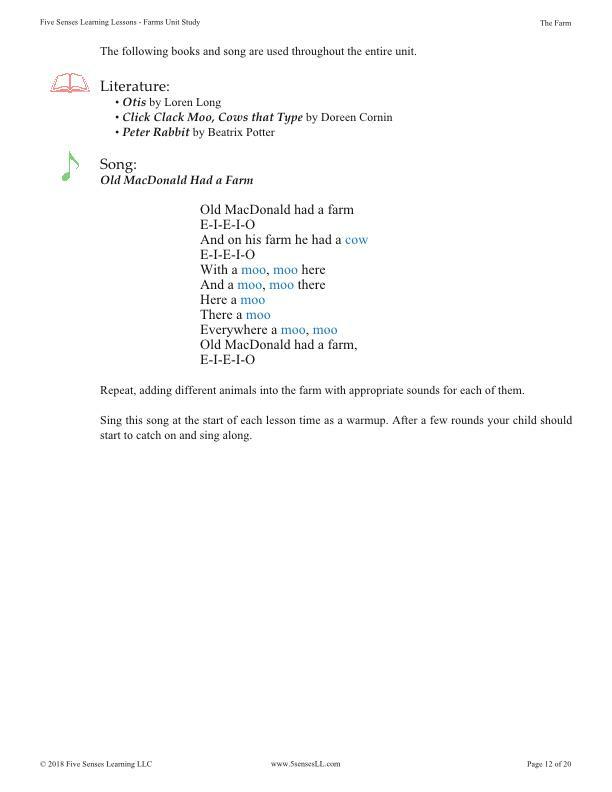 Each lesson includes a memory verse and a song to sing each day. There are activities for cooking with your child, simple art projects, physical games and field trips. Each activity is based on the related book and theme for the week and has layered benefits. 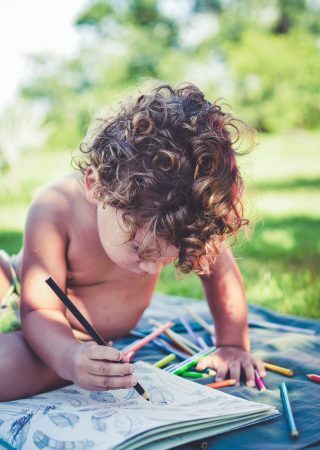 Art projects and cooking activities exercise your child’s fine motor control, getting those little hands ready for writing as they get older. Physical games, dances, and other activities help work your child’s gross motor control and development. Music and art help demonstrate to your child different forms of expression. Cooking and jumping up and down and taking a walk are all activities that provide many options for new sensory input for your child. 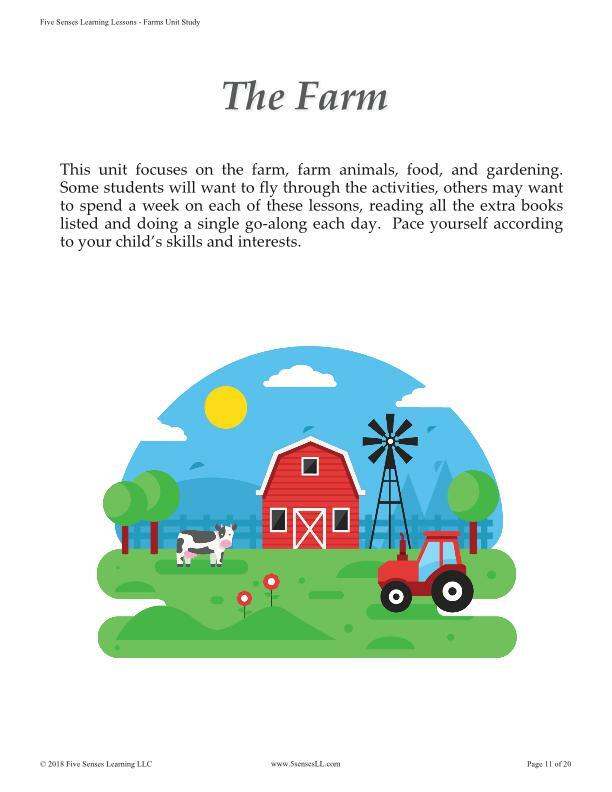 Farms Unit Study helps you lay a foundation for your child for full-engagement living and learning. Everything in your child’s world is something that they can experience and learn from and this program helps give you the tools to show them how. 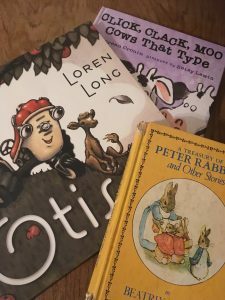 The stories included in the Farm Unit Study curriculum include a variety of classics, modern stories, Newberry Award winners and Reading Rainbow books. The books are available on Amazon and at most local libraries. We have gone to great effort to ensure the books are currently in print and readily accessible for most families. We’ve even found that many of the books are available on YouTube being read aloud.